As part of its energy talk series, Access for Women in Energy (AccessWIE) organised a roundtable dinner discussion on Iran: Winners and Losers. 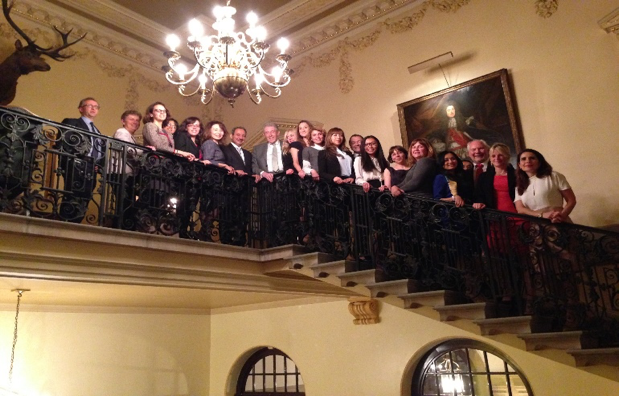 The dinner was hosted by Petrofac at the Caledonian Club on 8th May 2014 in London. The roundtable was co-chaired by Dr Carole Nakhle, Director of AccessWIE, and Dr Gavin Graham, Member of the Management Committee of AccessWIE. The discussion provided a platform for high profile professionals from both the public and private sectors, to exchange views on the latest political and energy developments in Iran. In particular, it focused on the likelihood of a deal with Iran with respect to its nuclear programme and the implications on regional and global geopolitics, as well as oil and gas markets. Participants included politicians, economists, geologists, lawyers and political analysts.